This was also posted on Israel Blogger. 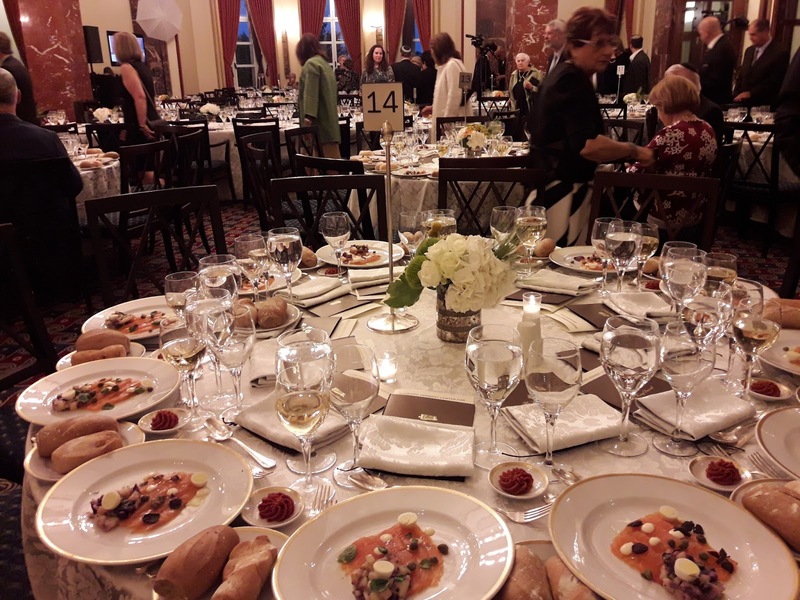 As I already blogged on A Jewish Grandmother, my husband and I attended the Ingeborg Rennert Center's Guardian of Zion Award Dinner last night. So, besides the food, the real highlight of the evening was the speech by Award winner, former US Ambassador to the United Nations John Bolton. 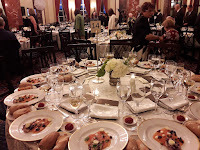 Since the dinner was also attended by many much more knowledgeable and respected writers than myself, such as Caroline Glick, Ruthie Blum and Jerusalem Post Editor in Chief Yaakov Katz, (all of whom I do have some sort of personal connection,) I await their reports. No doubt that we will read them, most probably in the Friday editions of actual Israeli newspapers. One of the reasons I've embraced blogging so enthusiastically is that I can make my own deadlines and rules about what gets posted and when. The crowd at the dinner was international, speaking a multitude of languages among themselves, but the program was in English. Our table was so overfull of diners that we had to put the bread plates in the center so our plates could lie flat and not spill over. There were screens and loudspeakers all over, since we filled two adjoining rooms. "...the Two State Solution has failed." So, it was clear that no matter how diverse the crowd seemed, we did agree on that very basic fact. Every time he mentioned the failure of the Two State Solution, he was greeted with enthusiastic applause. But after that, his ideas fell flat, like a souffle taken out of the oven too early and greeted with a bang. Bolton's "peace" proposal, what he calls the "Three State solution," IMHO, is as dangerous, fokokt and unworkable as all the versions of the Two State one. The three states in Bolton's proposal are Israel, Egypt and Jordan. Please note, that Bolton, unless I missed it, didn't mention the Golan Heights at all. His proposal only deals with what he calls "the West Bank," sic, and Gaza. At my table quite a few of us were mumbling to each other how unrealistic, and possibly illegal, as it contradicts prior Israeli treaties with those countries, Bolton's proposal actually is. The crux of Bolton's plan is that the so-called West Bank should somehow be divided between Israel and Jordan. And of course, the idea of a country called "Palestine," sic, should be scrapped completely. Bolton totally ignores the Israeli Treaty with Jordan, in which Jordan gave up claims to it. Remember that during the nineteen years of illegal occupation, Jordan did absolutely nothing to develop the area. In 1967, when Israel liberated it, there was no proper electricity, piped water, sewer system, modern telephones etc. 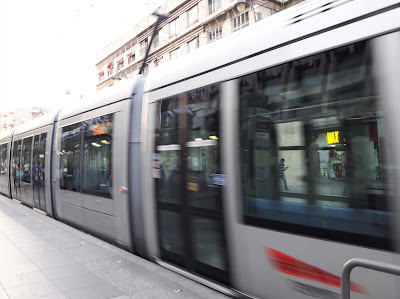 Only the State of Israel has invested and upgraded the area. Arab residents have no desire to return to Hashemite rule. And the Hashemites, aka Jordan, aren't interested in them either. Besides the lack of Jordanian identity among the Arabs here, making safe, secure and sensible borders between Israel and Bolton's fantasy entity are impossibly unrealistic, exactly like it would be with the Two State idea. Bolton's belief that Egypt is interested in Gaza is so far from historic reality, I really wonder about his knowledge and sanity. If Egypt had wanted it, then Sadaat would have taken it when Menachem Begin gave him the Sinai. Post-Camp David, Egypt sure fought hard for the Taba resort and got that. Egypt has enough stability problems, and the last thing it wants is the responsibility of ruling Hamas supporting Gaza. This article is also posted on Israel Blogger. Finally the United States has a president who isn't totally enamored with Arab terrorist leaders. I can't remember a time when an American President seemed more comfortable and supporting of Israel rather than the Arabs who want to destroy us. As imperfect/flawed as Donald Trump certainly is, at least he and his family aren't as entwined, financially, emotionally, politically, ideologically, religiously with the Arab terrorists and their backers as his predecessors were. Obama, early on in his presidency pledged to help facilitate the establishment of a Palestinian State, and his failure (thank the Good Lord) to do so made him bitterly and unabashedly anti-Israel at the end of his rule. Yes, he took off the diplomatic "mask." Trump, in his ignorance and naivete had announced that his brilliant Jewish son-in-law could pull off a "peace deal" with Israel and the Arabs, but it seems that after visiting here, he is starting to realize that it won't work. In the world of real estate, some projects get scrapped before making it past the early blueprint stage. I have no doubt that Trump's plan for "peace" here will be shelved pretty soon. His administration and especially Jared Kushner have too many more pressing issues to deal with, to put it mildly. Many people keep asking me what I think of Trump and his presidency. All I can say is that I'm not afraid of the anarchy that seems to be the nicest word to describe what is going on in his administration. With all his faults, thank Gd, he isn't Hillary Clinton. I have no doubt that she would have been worse than Barack Hussein Obama, especially when it comes to Israel. And I wouldn't be surprised if the rather anemic Democratic Party does draft/pressure Michelle Obama to run in either 2020 or 2024. The only reason that she may refuse is if she really finds herself enjoying their well-paid celebrity life too much. To make it clear, I want to repeat what I've written many times. The security and continued existence of the State of Israel is up to us, not any foreign country or international organization. We in the State of Israel and the Jewish People all over the world have a strong invisible ally who can help us defeat all of our enemies, just like He has done in the past. Yes, Gd Almighty is our secret weapon. Here we are a half a century after the totally miraculous Six Days War. No country supported us. Everyone stood on the sidelines to watch, expecting a certain defeat and destruction of the State of Israel. 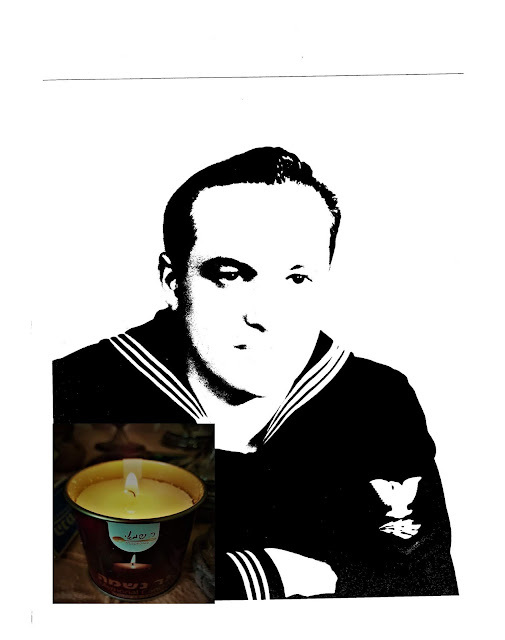 All over the world, the Jewish People and those who cared about us prayed to Gd for our victory. And Gd facilitated that miraculous victory! It doesn't matter what goes on in the White House. Thank Gd Trump's main focus isn't on Israel and its enemies. I just hope that Prime Minister Netanyahu will stop looking for a human savior. Only Gd can save us, and He's right here with us waiting for the call. We must pray to Gd and thank Him for the miracles he has already done for us. Arab Terrorist Prisoner Hunger Strike, Who Won? While Israeli Public Security Minister Gilad Erdan keeps claiming that the Arab terrorist prisoners didn't gain anything from their hunger strike, the Arabs claim otherwise. 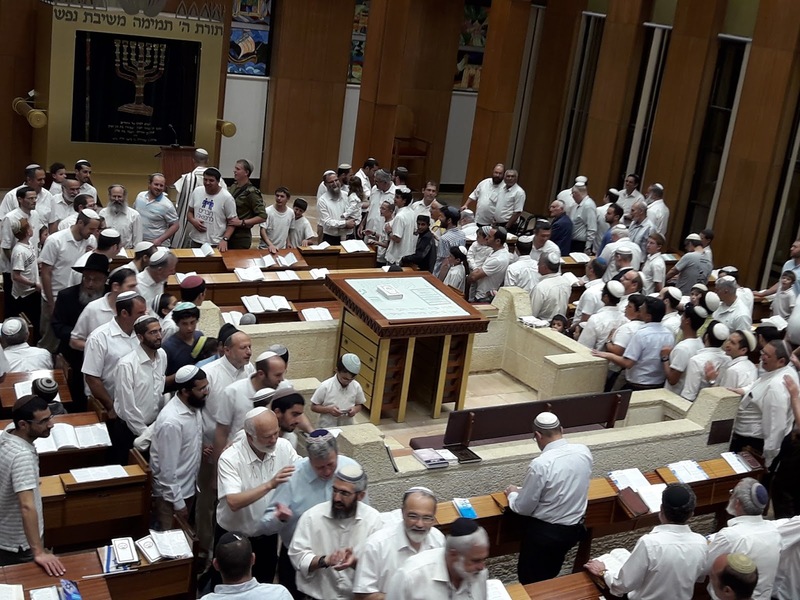 PA officials are claiming victory, stating that the hunger strike was successful in meeting their demands, while the Prisons Service said there was no negotiation, and that none of the prisoners’ demands were met apart from the visitations. It is hard to admit, but considering the leaked details, the Arab version may be more accurate. Prime Minister Binyamin Netanyahu loves to play games with words and terms, and Erdan is his protege. They'll both claim that the conclusion/agreement gives no appreciable improvement in conditions. The terrorists got themselves their usual good publicity, because the international bodies and media support them. The State of Israel should have reduced their cushy conditions to what other countries give convicted terrorists. And their leader Barghouti should be held under conditions like those the United States put on Jonathan Pollard. And we should make it clear that we are just following the American precedent. It should also be stressed that nothing Pollard did is a fraction of the seriousness of Barghouti's crimes and continued vicious incitement against the State of Israel. And what happened to the Israeli demands on Hamas for the bodies of our soldiers? Every single time the Arab terrorists make demands on us, we should make it clear that the convicted terrorist prisoners will get get fewer privileges until our IDF soldier bodies are returned. I first came across these "fidget spinners" a few weeks ago at work. I'm a teacher and teach in a boys high school. Most of my students are of normal intelligence and suffer various learning and attention deficit problems. And they are very easily distracted. One day a couple showed up with this spinner, and it was the center of attention. It mesmerized them had them hypnotized but not on the lesson. Not at all. As it spins around, all eyes are on it, and when all eyes are on something like that, nobody is capable of paying attention to the lesson. The lesson was effectively over before I could even begin teaching. So, the next time a student came it with it. I managed to confiscate it promising to return it after the lesson. And then I was able to teach. Incidents involving a popular child's toy known as "fidget spinners" are being investigated by the Consumer Product Safety Commission after two separate reported cases of children swallowing parts of the gadget sparked concerns. Fidget spinners are a stress-relieving toy advertised as a way to help people focus. 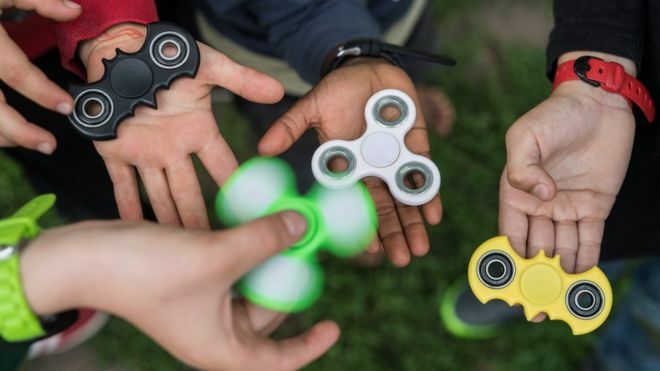 Scott Kollins, clinical psychologist and director of the ADHD program at Duke University, said there is no evidence to support claims of the benefits of fidget spinners. It's clear that there are people making very good money from these toys. I hope they will be quickly banned. Besides the distraction in class, most are shoddily made, and pieces fall out, and are too easy to swallow. 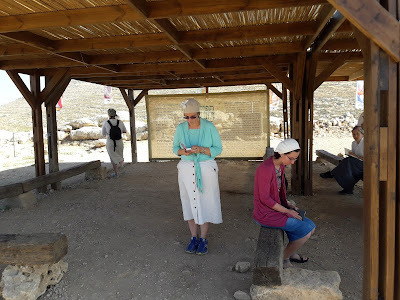 Recent discoveries confirm that Shiloh remained an active city for thousands of years after the Tabernacle was destroyed. The other day I wrote Six Days War, Lots of Memories But No Pictures and "shared it" to a Great Neck facebook page, since it was about my high school memories. Never in a million years did I expect the post to spark a vicious/vigorous debate about Jewish rights to this Land versus the Arabs. The only independent countries/kingdoms in this part of the world were Jewish. The Turks, British, Jordanians (a truly fake invented nation) etc were all invaders and occupiers. Learn history. Were there Turks and British 2,000 years ago? List the kings/prime ministers of an independent country in this land during the 19th and early 20th centuries. The only people/nation with a history of national aspirations for this part of the world is Jews. For all others, this land was just a place to be, but not their national homeland. Nomads passing through. I don't think that the people arguing with me fully understand what a nation/people is, nor nationalist aspirations and history. 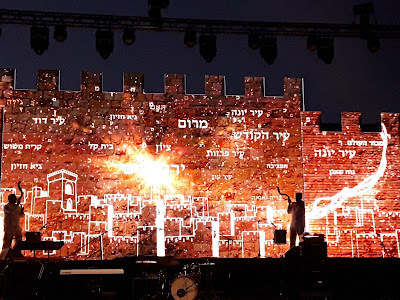 I certainly don't deny that there have never been non-Jews living in what we'll refer to as "the Holyland" from the time the Jewish Kingdom and Holy Temples were destroyed, invaded and occupied. But one must remember that those who ruled were occupiers/invaders, representing foreign kingdoms/countries. The Arabs here had "city states," like there had been in Europe a few hundred years ago, but unlike Europe, they had no national aspirations and never evolved into a country. Even today, after enthusiastic and professional "mentoring" by foreigners, Arabs of Ramalla, Gaza, Shechem etc do not consider themselves as one people. Compare that to Jews, who even two thousand years after being exiled and being forced to wander all over the world still have a united singular tradition of being a nation in this very Holyland, celebrate the same religious holidays, pray the same prayers and Bible in the same language and mourn the destruction of the same Holy Temple that stood in Jerusalem. We Jewish People in The State of Israel aren't like any other. Our Jewish History confounds and even angers international military and economic experts. According to them, there was no way we could have survived the Holocaust. And even the countries that voted "yes" for a Jewish State in the United Nations, November 29, 1947, never expected us to survive. We had no allies, unlike the Arabs fighting us. And in 1967, our so-called friends again waited on the sidelines certain of our imminent demise. Instead of being pushed into the sea we liberated our Biblical Homeland and pushed our enemies past the Jordan River, to the Suez Canal and the the other side of the Golan Heights. Since then the "world" has put even more energy and money into inventing a "people" to replace us here in the Holyland. Unfortunately, even many Jews and Israelis have fallen for the con, the lie that we must share our tiny Homeland with Arabs who terrorize us, murder and maim. Today our fight is more a war of words and ideas. We must stand strong and put our faith in Gd, not men and certainly not foreign leaders. In a few days we celebrate the Jewish Holiday of Shavuot, which can be translated as "Weeks" or "Oaths." Seven weeks from the Passover Holiday, and now we Swear and Oath to Gd to accept the Torah, accept the Laws Gd demands us to follow. This was also posted on Israeli Blogger. 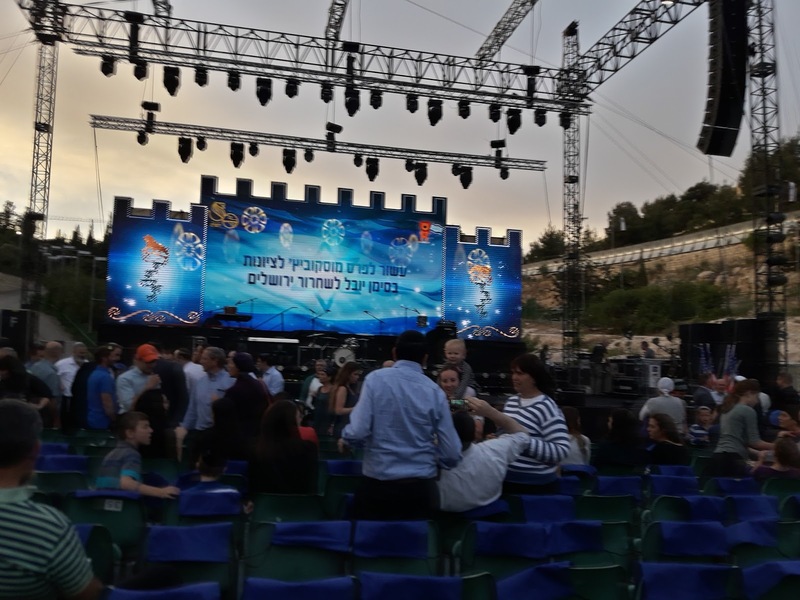 I haven't posted a Havel Havelim, Jewish Israeli blog carnival/round-up, in a very long time. 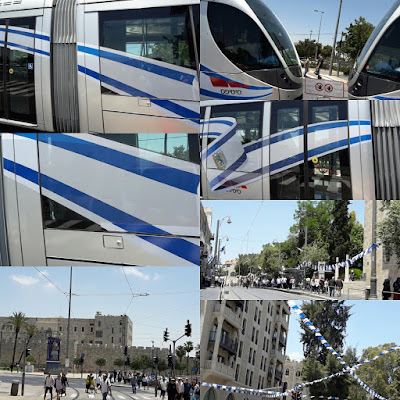 And I think that today, the day after Jerusalem Day and three weeks after Israeli Independence Day is just the time to post a special Jerusalem themed edition. 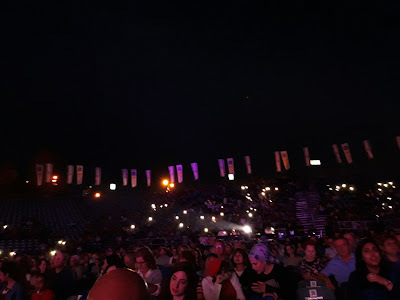 Lots of bloggers have posted about Jerusalem of late, the politics, life, pictures and what the world says about the holy city. Post titles will be listed here without the name of the blog or author. I hope that makes you curious to click, read, comment and share. Enjoy. 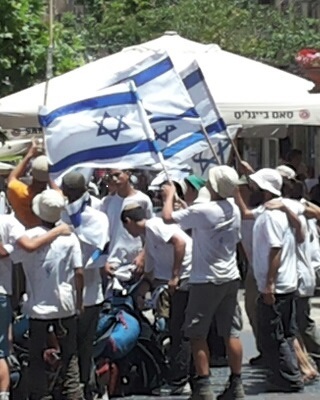 What is Yom Yerushalayim, and why do we need it? And please share around the link to this post. Also, I welcome ideas for more special editions like this one, thanks. This is how I looked when in high school. 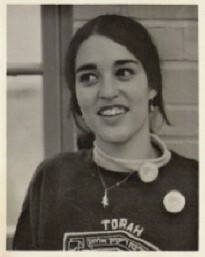 I'd wear sweatshirts from NCSY or Seminars decorated with SSSJ buttons. I was the true non-conformist. No green bookbags for me! In my last couple of years there, in Great Neck North, I became a big Jewish activist. 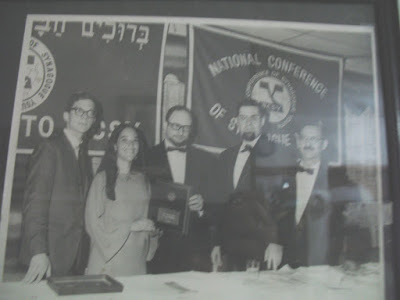 It began when I got involved in the synagogue's NCSY chapter, which led me to SSSJ-Student Struggle for Soviet Jewry, TLS-Yeshiva University Seminars and then to the Betar Zionist Youth Movement. To put it very mildly, if I didn't fit into Great Neck society before, (we only moved there in 1962 when I was thirteen 13,) the the new Zionist and Orthodox Jew was definitely an oddball and hadn't a chance in hell to ever fit in. If someone was writing a screenplay or coming of age novel, they'd love the timing of it all, since I graduated in 1967, which for a very involved Jew and Zionist as I had become, was the perfect time to have a major crisis or change. As high school was finishing, most of my classmates were busy with prom plans, graduation parties etc. I was just counting the days to be out of that place. When the threats against Israel began in May, we began fundraising. One Sunday, the kids in my NCSY chapter made a "workday," and people paid us to do all sorts of chores. The payment went to NCSY's Torah Fund to be transferred to some project in Israel. I have memories of standing outside of some Jewish event in Manhattan, holding two corners of an Israeli Flag, while someone else had the other two, and passersby put money on the flag. I think I did that with my Betar friends. I ended up joining Betar at the beginning of my senior year in high school, when Israeli Folk Dancing just wasn't enough for my budding Jewish activist and Zionist identity. 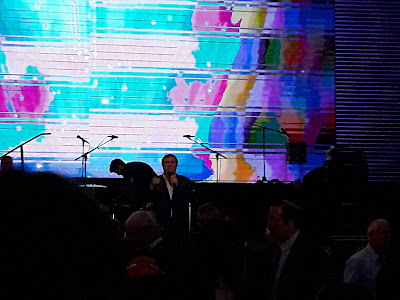 There was also a giant meeting in Great Neck for the Jewish Community, which had the participation of all four rabbis, Rabbi Wolf from the Orthodox Great Neck Synagogue, the Conservative rabbi from Temple Israel, and the two Reform from Temples Beth El and Emanuel. I was an usher. During the war, our class had its Senior Class Beach Day at Jones Beach, which I was required to attend. Attendance was very strict in those days. I walked around collecting money for Israel from my classmates, the Jewish ones. One, who was dating a non-Jew at the time, got into a big fight with his girlfriend when he donated. Some told me that their parents had "donated tanks" etc. Great Neck had some very wealthy people. The nickels and dimes I managed to collect were nothing compared to the real fundraisers. 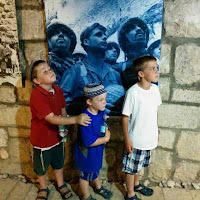 And finally, where was I when I saw the broadcast of the IDF paratroopers crying at the Kotel, Western Wall at that first moving prayer? I was across the street from my house babysitting. I'm glad the kids were all asleep, because as I heard the soldiers crying, I cried, too. Just over three years later, I was married and we made aliyah. I just can't imagine living anyplace else but in Israel! Here I am getting the National Standards Award from NCSY at the 1967 National Convention, just a few weeks after the Israeli Victory in the Six Days War! My dress was bright orange. 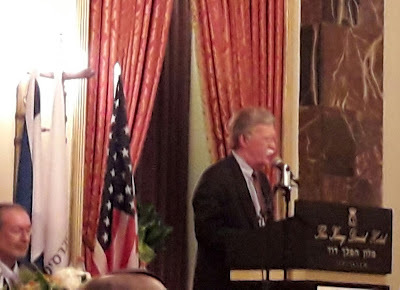 The media is so negative when it comes to idealistic Zionism that we all need some good "booster shots" periodically, and attending the prize-giving ceremonies put together for the Moskowitz Zionism Prize are just perfect. For various reasons I hadn't been to one for a few years, and I'm glad to have come this year. Yehoram Gaon was the MC, and he did a phenomenal job both singing and providing the necessary introductions and background. 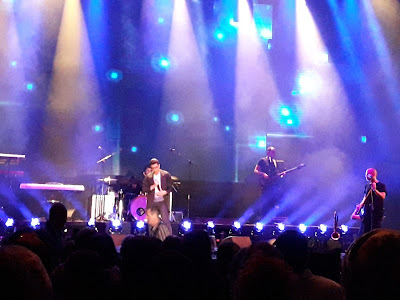 Apparently, he had been invited to perform for visiting US President Trump and entourage but respectfully declined because it was at the same time as the Moskowitz ceremony. The Moskowitz Prize has evolved over the years. It used to be that three people got the main prizes, and the audience was full of their families, friends and admirers. The program stressed the accomplishments of these magnificent individuals and was interspersed with amazingly photogenic and kitschy performances with the backdrop of Ir David, City of David. This year it was at the much more accessible Sultan's Pool, between Jaffa Gate/Mount Zion/Old City Walls and Yemin Moshe. And instead of a variety of awardees, there was just one, the incomparable Moshe Arens. 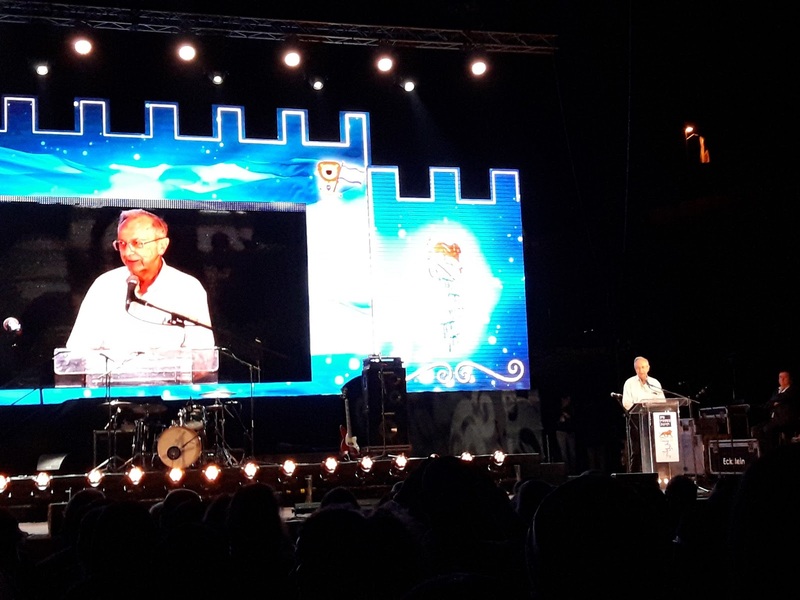 Arens is one of the last of a generation of Israelis, originally from the states actually, who was involved in a totally amazing amount of Israeli History. Yes, he's definitely worth prize recipients, or more. 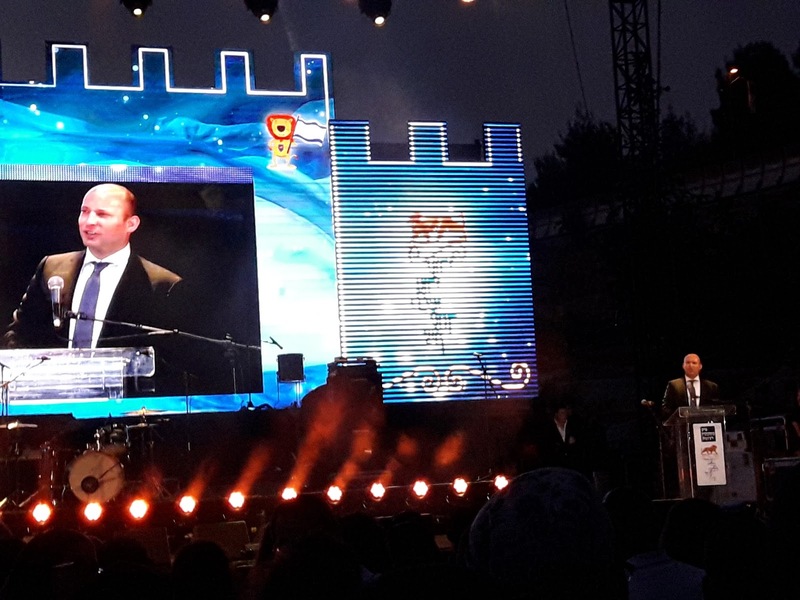 One of the highlights of the event was certainly Education Minister Naftali Bennett's speech. 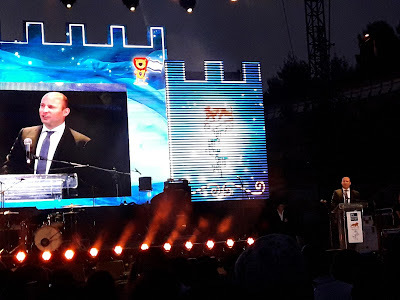 There was a double theme of the evening, which were that it's ten years since the prize began and the fifty years since the Liberation of Jerusalem and the Six Days War. Bennett gave a personal aspect to this, by telling how the tension and Arab threats before the war, plus the miracles all of my generation and older remember so clearly affected his parents. According to Bennett, pre-Six Days War, his parents were typical unaffiliated assimilated Jews living in America, but the extraordinarily miraculous Six Days War woke up their Jewish identity and changed their lives completely. That's how they ended up making aliyah and discovering Torah Judaism. Bennett also voiced a plea to visiting American President Trump to make history and recognize Jerusalem as Israel's Capital City. "Am I the only one who has never heard of these singers?" Trump's Visit to Jerusalem- Will the Chaos Get Worse? I have friends who live in a Trump building, and I've always been impressed by the facilities, overall conception, Trump-planned neighborhood etcetera. And to be honest, I had been hoping that he'd bring that sort of organizational talents with him to the White House. I'm sorry to say that he left them on some construction site and hasn't a clue. None of the people Trump trusts the most have any real political experience, other than getting building and development permits. And it certainly doesn't help that the State Department and White House employees are out to sabotage all and make the Trump Administration look as idiotic as possible. I once read an interesting and revealing article by one of JFK's close friends who had been brought into his White House administration. The writer revealed that although many of them were prominent academics, they quickly found themselves clueless on how to get Kennedy's impressive idealistic platform into reality. The real world of White House politics was totally different from how it looked from the "ivory tower." No doubt in a few years, Trump confidants will admit that running the USA is not like building a neighborhood, golf course or hotel. And just because Jared Kushner spent some time here as a teen, it doesn't make him an expert on how to plan a visit for his father-in-law, aka POTUS- President of the United States. The Israeli Government has experienced experts who have put together all the plans and logistics for numerous high-ranking foreign officials. It's a sign of the American overconfidence and inexperience that they didn't work together on it. Did they think they could reinvent the wheel? The only really good thing that the Trump team did that other foreign leaders don't do as a general rule, if at all, is that he's going to see the PA-Palestinian Authority leaders in Bethlehem and not Ramalla. Whoever made that decision really deserves extra-credit for a great idea. No doubt that our friends who live south of Jerusalem and in the southern Jerusalem neighborhoods aren't happy about it, but my part of the country is overjoyed. Trump and crew are landing here in a few hours, and then the very experienced Israeli government officials and police will take over all the logistics. The visit will inconvenience people just like the visits of the pope, Obama and others. And since I have to be in Jerusalem today, near where Trump is planning on being, I'll report on it, too. Check out my Twitter and Instagram. What do you think? And I'm not even mentioning all the "peace" sic threats we have to deal with. Will we feel like we've been hit by a speeding train? 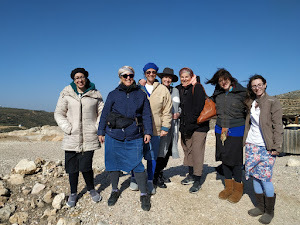 One of the things so very different here in Israel is that here the bus drivers are "peers," meaning "regular people," the sort who can be neighbors, friends, fellow Tanach, Bible aficionados. I can't exactly remember how we got onto the subject, but as has been my custom since reaching a certain exalted age, I was sitting in the front seat on the bus, and the veteran driver is known as friendly, very knowledgable and the sort of person who could easily be a neighbor. If I'm not mistaken, we got onto the subject, because there had been talk of someone taking the blame or responsibility for something, and I brought up one of my favorite Bible topics, of which my opinion is far from the the classic/standard commentary. "It's all her fault; she made me do it." Adam tells Gd. King David consistently takes full blame and tries to legitimize his relationship with Batsheva, and they do marry. Remember that during that early narrative, there is no word from Batsheva except for when she sends David a message that she's pregnant, and then she's silent again. The busdriver and I discussed the textual description of the beginning of Batsheva and King David's relationship. He davka used the phrase "it takes two to tango," very certain that the Bible would have mentioned if Batsheva had protested King David's advances if there had been any. Later on we do read of Tamar's reactions to Amnon's attack. And if the David-Batsheva scandal is raised to show that even David can be immoral and sin, then we would need to hear protest and sorrow from Batsheva. The driver agreed that Batsheva may very possibly have had seduced David by intentionally bathing in his view. *And shouldn't we consider it significant that Batsheva named her baby son Shlomo, Solomon, which in Hebrew means "complete?" For her, the mission/quest to have a son with King David was a success! This was her plan!! There is no such conversation recorded in the Bible. What there is in the Bible are a number of other determined women to seduce, marry, have children with men of this Davidic and Messianic line. Remember that the Messiah is to be a descendant of King David. They are Leah, Tamar, Ruth-Naomi and Batsheva. I'm glad that I had gotten into this conversation with the busdriver, since the route was too long and convoluted for me, but as we spoke I began to hope that it would take even more time, at least until we came to a satisfying conclusion. This Aliya begins with the last four p'sukim of the "good" part - the promises for our proper Torah behavior. G-d will be with us; He is the One Who took us out of Egypt, broke the yoke of our oppression, and led us out with heads held high. [P> 26:14 (13)] But then we get to the "Tochacha" containing G-d's detailed admonition to the People, warning of the dire consequences that will result from disregard of Torah and mitzvot. Because it is so painful to hear these terrible words - especially realizing how often they have come true - the custom developed to read this portion in a low voice. We are ashamed that G-d needs to threaten us in so graphic a way. The minhag is to call the Rabbi, Gabbai, or the Baal Korei himself for this portion, so that no one else will feel slighted by receiving this harsh Aliya. The Tochacha is always contained within one Aliya which begins and ends on "cheerier" notes. Yes, that means that as we celebrate fifty 50 years, half a century since the super miraculous of Biblical proportions victory over our enemies, we have not been given a "free pass" to do whatever we want with those gifts. Unfortunately, even after half a century and a new generation in the driver's seat, our politicians still haven't grasped that Gd may let the Arabs exile us once again if we don't fully embrace the Land and act as a proper sovereign nations. I pray that our Israeli politicians will lead us to the Redemption and blessings that await, instead of trying to please our enemies and compromise on our security. 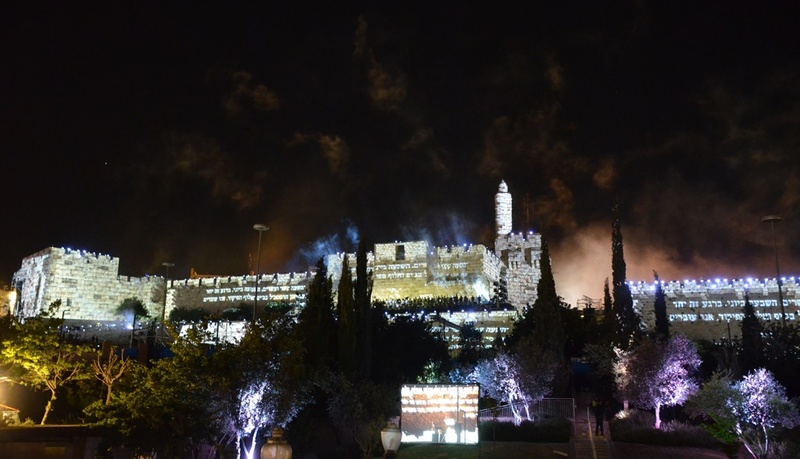 Shabbat Shalom V'Chag Yerushalayim Hashleimah Sameach! Have a Peaceful Sabbath and Joyous Complete Jerusalem Day! Shiloh is one of the key Biblical locations liberated from Arab Occupation in the stupendously miraculous 1967 Six Days War. Yes, it's that simple. 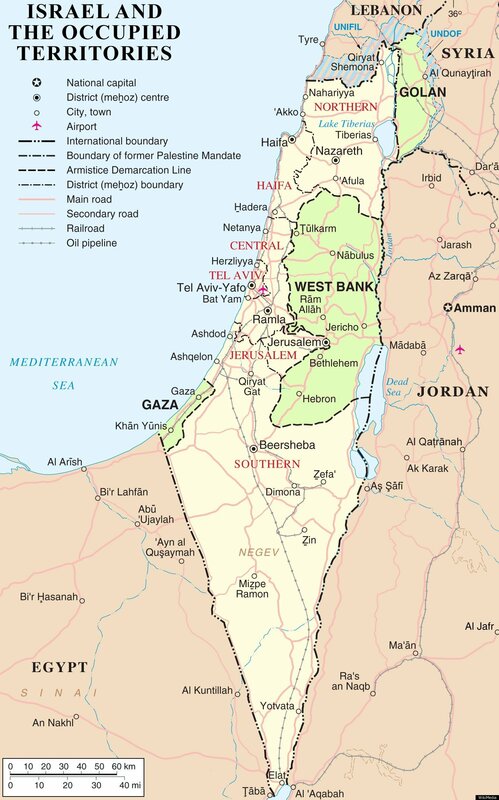 Not only does it predate the 1967 Six Days War, it was a principle in the United Nations Partition Plan. I circled Jerusalem here, and you can see that besides the simple fact that international bodies, like the newly invented United Nations, and various foreign countries did not envision the proposed Jewish state as having Jerusalem as its Capital City, it didn't include Jerusalem in the proposed Jewish country at all. And what it had planned on giving to the Jews as a "country" was even less possible to defend than we ended up controlling in 1949, which created borders known to this very day as "the Green Line," or Auschwitz borders. The Jewish Israeli diplomatic fight over Jerusalem isn't fifty 50 years old; it's seventy 70 years old and even older when you take pre-state history into account. And for all those decades the State of Israel has been using the wrong "weapons," the wrong everything. That's because it has wimped out at admitting that our enemy is the antisemitism that has existed from the very beginning of Judaism. Just Stop Nudging About "Peace!" Why does every single newly elected POTUS think he can "solve the problem," make a "peace deal" between Israel and the Arabs? If such a thing was doable, negotiable, it would have happened already. And if such a thing was in the realm of "possible," it would have happened on its own, and it certainly wouldn't need the arm twisting and bribery we keep seeing. US Presidents have pretty short shelf-lives, generally either four or eight years barring death, serious illness or impeachment. And quite a few in the last forty years have gotten praises and prizes for making "peace" between us and Arabs. It's almost a rite of passage, part of the routine for American Presidents after they redecorate the Oval Office and the residential wing. Promising "peace in the middle east" sic is even more popular than promising to move the United States Embassy to Jerusalem. Hmmm... Does anyone really think that Trump will do it? Taking bets. What do you think? Welcome to Israel, Ambassador Friedman! This was first posted on Israel Blogger. Decades ago, I remember an American friend saying he'd only live in Israel if in a position like Ambassador from the USA. Well, David Friedman sure hit the jackpot. After a long business, personal and more recently political relationship with Donald Trump, Friedman is now United States Ambassador to the State of Israel. Friedman is an Orthodox Jew who even owns a home in Israel. 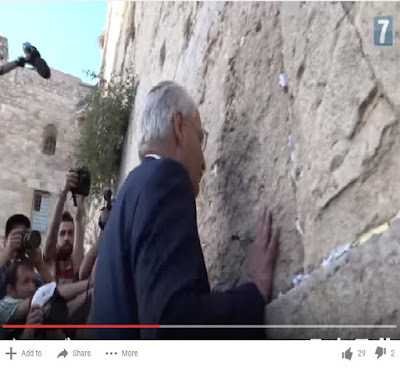 So it's pretty obvious that he's no stranger to Israel and especially Jerusalem. As Ambassador Friedman made it very clear during the rather unpleasant confirmation hearings, he will no longer be a private citizen in Israel. As ambassador, he'll follow the rules. And as we must remember it's the perpetually anti-Israel State Department that makes up most of them. Get real. We can't expect US President Trump to have done a clean sweep, firing and replacing all the many, many employees whose antipathy to Israel is horrendously blatant. And Friedman won't be able to replace his staff with those he'd prefer either. No doubt that we will be in for interesting times, and it won't be easy for Friedman who is a lot more familiar with Israel and Israeli history than most, if not all of the embassy and consulate staffs. And no doubt that this will make it extremely difficult for all of them. My husband and I have hosted the incoming consular officials for decades, as part of their "getting to know the scene." So I do have a working knowledge of what happens. The staff changes all the time. By the time they become familiar with a place they are posted elsewhere. Ambassador Friedman will certainly be between a rock and a hard place, especially since the international media and most American governmental bodies, besides all the disappointed Democrats are constantly looking to criticize and find fault with any and everything concerning POTUS Trump. I expect Friedman to be targeted too. It's so embarrassing and demeaning to keep hearing our Prime Minister and politicians begging. They beg our sworn enemies to "make a peace deal." They beg foreign leaders, like US President Trump, to recognize Jerusalem. I think we'd get a lot more respect and peace, too, if only we would act with strength and self-respect. For sure, the begging only makes the Arabs see us as weak, and that encourages them to attack more and compromise less. And foreign leaders see us as less deserving. They certainly think less of our rights to our Land and Capital City Jerusalem when we keep offering to give pieces away. Of course it’s like the King Solomon story of the two women who were fighting over the baby. King Solomon believed the woman who wasn’t willing to harm the baby. Our enemies aren’t afraid of us, and that’s a problem. Fifty years ago, as the totally miraculous Six Days War ended we did have a chance for peace. The Arabs saw that our victory was by Gd, and they were terrified. If we had acted like victors we’d not only have peace today, but we’d be in Messianic Times. Instead, successive Israeli Governments have just gotten us into bigger and bigger trouble by trying to please foreign rulers who wouldn’t care if the Arabs destroyed the State of Israel, Gd forbid, and we’d find ourselves exiled yet, again. Gd keeps on giving us more chances, but there’s a limit to Gd’s mercy. He may decide, yet again, to wait for a more deserving generation. The Jerusalem Post's Friday edition had a big feature about Hebron, the Jews, Arabs and history. There are so many misleading distortions and mistakes that any good researcher could have corrected/prevented, I'd say not to read it at all. I will just mention a few things here and hope that people a lot more knowledgable than myself will go through it carefully and thoroughly. Just to explain that I have more than a simple passing knowledge of Hebron and Kiryat Arba. 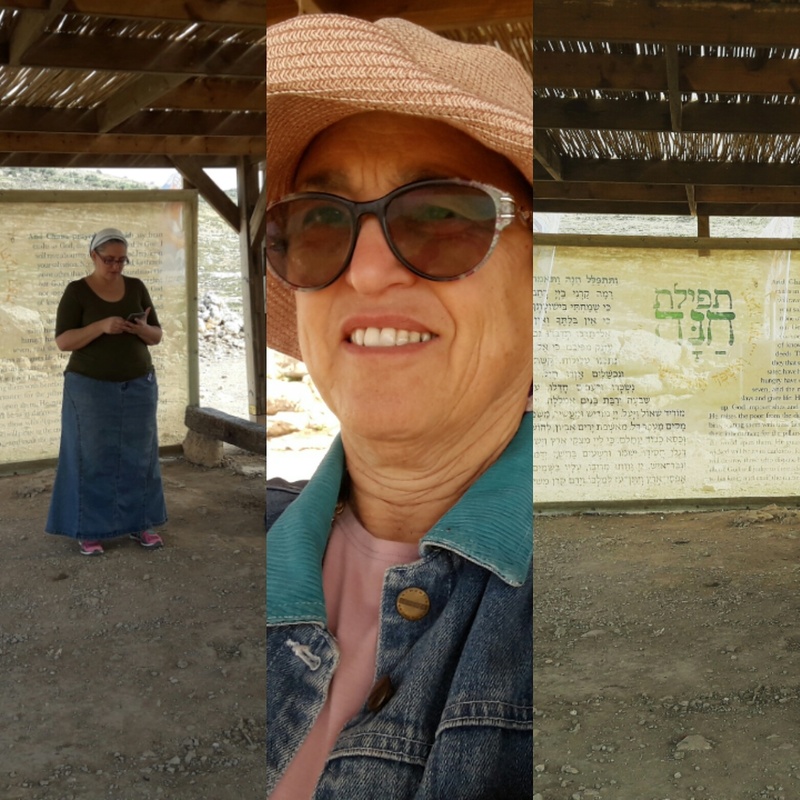 My husband and I spent Shabbatot and even the Passover Seder in Hebron, 1970-71 and had been signed up for an apartment in the first stage of Kiryat Arba. "Hebron was once a model of Jewish-Muslim coexistence,"
That's a totally idealized version of the history. Relations were not all that rosey. Although there are a couple of isolated stories of Jews being friendly with neighboring Arabs and then rescued by them, this was the exception to the rule. There were always tension and attacks on Jews. And when the massacre began, the Jewish community was horrified that even most of the Arabs who had always seemed friendly attacked and killed with great enthusiasm. "In the late 19th and early 20th century, Jews and Arabs lived side by side in Hebron, sharing shops, hospitals, and holy sites." Moslems forbade Jews to enter the Tomb of the Patriarchs. "On April 4, 1968 a group of Jews led by Levinger posing as Swiss tourists checked in at the Arab-owned Hebron Park Hotel. The next day, after koshering the kitchen, the group announced that they were staying put. Then-defense minister Moshe Dayan ordered their evacuation, but compromised with a deal: they were resettled in a nearby military base, which eventually became the Kiryat Arba settlement, a suburb of the city of Hebron, now numbering over 7,000 Israelis." Until Kiryat Arba, which isn't in Hebron, was built, a number of Jewish families lived in the police compound in Hebron, known in Hebrew as "hamemshal." That is where we visited. Kiryat Arba wasn't habitable until either late 1971 or early 1972. Besides these inaccuracies, the most sympathetic person in the feature is the Arab, which just shows how subjective the writers and how poor and incompetent the editing and fact-checking in the article. I probably posted about this before, but since it does repeat, no harm to be repetitive. Counting the Omer, Sefirat Ha'Omer was one of the most difficult religious tasks for me to master. Decades after taking on Torah observance, aka Orthodox Judaism, I hadn't once managed to count the 49 days or even a week of them. To be honest, I was barely aware of the mitzvah in the early years and don't remember even hearing about it. So I didn't teach my kids, either. Around fifteen years ago, I started getting a reminder on my phone as an SMS, but then I'd get stuck on Friday nights when the phone was off. 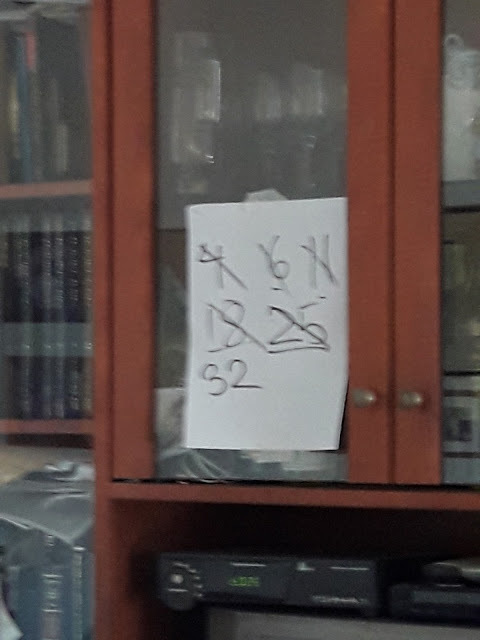 So, the past few years I leave a sign up on the closet across from where I sit/collapse when my husband goes off to shul. I usually notice it, B"H. One night I didn't, but I suddenly noticed our guests looking at it rather strangely. Quickly I said the blessing and counted, and then I told them what it is. I wasn't raised in a Sabbath observing family, but when I was a child weekends in New York were very different from the rest of the week. All stores, except a few small food stores, restaurants and bakeries were closed on Sundays, and many people didn't have to work on Saturday. Things have definitely changed. Nowadays the weekends are super-busy shopping times, whether for clothes, or food or household and garden supplies. There is no day of rest. Weekends are more hectic than midweek for many people, and I don't know how people who work at all the stores manage to care for their kids who are off from school. Maybe they just don't have too many kids. Demographics aren't like in Israel. For over half a century, since I was in high school, I've been an Orthodox Jewish Sabbath Observer. That means, no cooking, no writing, no television, no computer, no shopping, no telephone, no cleaning, no traveling, arts, crafts, etc. After all these decades, I just can't imagine surviving without this special holy day. 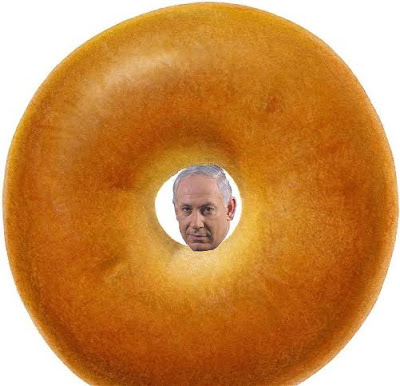 This was first posted on Israeli Blogger. I am disgusted by the reports that building for Jews in Judea/Samaria will be temporarily frozen until after United States President Donald Trump’s upcoming visit. As an Israeli I’m disgusted and embarrassed by the report. Didn’t we just celebrate our 69th Israeli Independence Day? Are we an independent sovereign state, or not? If we are an independent sovereign state then we don’t need approval from any foreign ruler, nor do we need to worry about their feelings and opinions. For the first twenty years after declaring our independence and before that, and previous to that while Nazis murdered millions of Jews and then the British refused the survivors permission to relocate/immigrate to the Holy Land, no country allied with us or defended us Jews. We were on our own! And the truth is that we’re still on our own when it comes to international diplomacy. But we do have one ally, and that’s Gd Almighty. Gd’s help enabled us to defeat the Arabs, who had been assisted by other Arab states and Great Britain in 1948-49. Gd’s help enabled us to defeat Egypt, Syria and Jordan in 1967. Gd’s help enabled us to defeat Egypt and Syria in 1973. Our dependence on American advice almost led to our defeat in the Yom Kippur War. Israel does not owe any country for our existence, our survival. It is only through the grace of Gd that there is a State of Israel. And if we want the respect and support of American President Trump, then we must act like a strong, independent sovereign state, not a weak fawning nebbich. The newest neighborhood in Shiloh is Rechov Techelet, which can be translated loosely as Sky Blue Street. If I remember correctly, the area was first planned and approved for building pre-Madrid Conference time. The Israeli Government had approved a massive building project for Shiloh of something like 134 houses, which was to double the population. Half were to be in my neighborhood, including a large extension of it to the north, and the other half was in the middle neighborhood, extending it to the south and east. My memory on the timing is pretty exact, because half the homes ended up being built in Shvut Rachel which was established in memory of our neighbor, Rachella Druk, who had been murdered when on her way to a demonstration in Tel Aviv, which was to encourage Prime Minister Yitzchak Shamir to be strong and resist international pressure at the Madrid Conference. In those days it was considered important to memorialize someone murdered by terrorists by building a community in the person's memory. 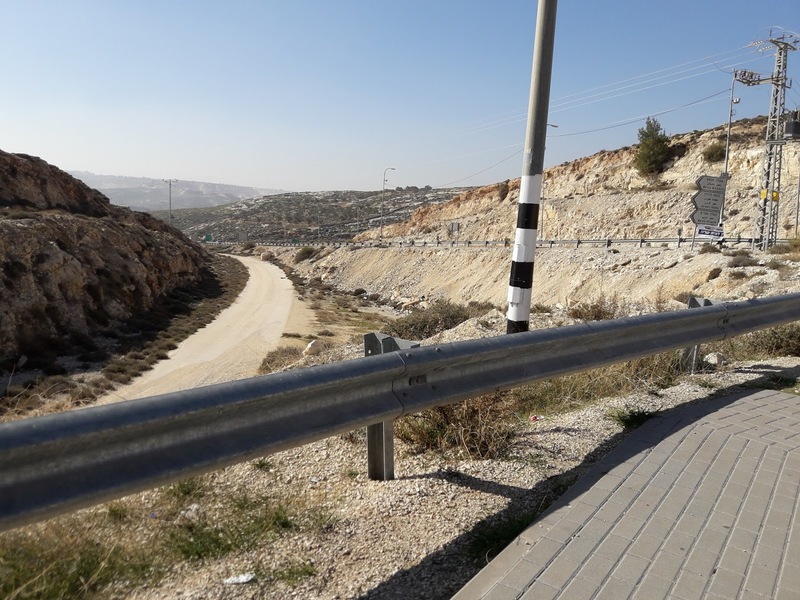 In order to make sure that Shvut Rachel got a good start, our Town Council requested that half the homes allocated to us be transferred to the new community to the east. In the past decade or so homes have finally been built in that area, and it's a lovely neighborhood. A new section is under construction called Karmei Shiloh, and here are some photos I took this week. I find all of this building in Shiloh very exciting, and it's wonderful to hear that nowadays Shiloh isn't considered "out of the way." Shiloh is considered the Center of the Country, convenient and a wonderful place to live. Thank Gd! Why Debate "Jewish State" Bill? Building in Shiloh, We're Expanding! Honestly, I Don’t Want a “Peace Deal” with Arabs!